It is understandable for students, and even their parents, to feel a little anxious when searching for off-campus housing in Winona. If this is your first time living away from family, you need to make sure that you have everything you need in your new place. Taking the time to search for the right housing in Winona is necessary if you want to live comfortably during your college days. With our help, you will feel more confident and sure of your choice by the time you sign the lease. For more tips on how to live off-campus, check out this article: https://blog.cort.com/college/top-tips-students-live-off-campus/. Your chosen housing in Winona must meet your needs. When you are searching for housing in Winona, you have to consider the amenities you will need during your stay. Some apartments or houses for rent have kitchens and laundry areas as well as lounges and game rooms. Some housing in Winona may not have these amenities. Still, they may be worth considering because of their proximity to gyms, restaurants, and other convenient establishments. The ideal housing in Winona should not break the bank. Many students in the country apply for loans to pay for their tuition. If you’re one of these individuals, it is important for youto save up moving forward. Opting for practical housing in Winona can be considered a wise decision. There are options for housing in Winona that are less expensive than school dorms. With the help of WsYOU/Bluff City Properties, you can find one that fits your budget! Consider the distance of the housing in Winona from your school. If you come across housing in Winona that fits your taste but is rather far from your school, perhaps you should reconsider. After all, this could be challenging to your student life. 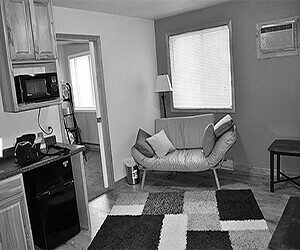 It is advisable for you to choose housing in Winona that is close to your university or college. Whether you are walking or driving to school, the decreased travel time can help you focus on other matters. The housing in Winona of your choice must be safe and secure. Parents are often worried about their child’s safety once he or she starts living independently. Make your family feel better by selecting housing in Winona where you will stay safe and protected. At WsYOU/Bluff City Properties, we do our best to keep our residents away from harm. When you opt for our offered housing in Winona, you can put your parents’ minds, as well as yours, at ease. Go on tours to see which housing in Winona works best for you. Sticking to the first housing in Winona that comes your way is not ideal, especially if it’s your first time living on your own. We suggest searching for more options to see which one will be perfect for you. Schedule an in-person or virtual tour of all your options for housing in Winona. Compare each apartment or house and pick the one that you like most. Many students are interested in off-campus housing in Winona. If you have your eyes set on one, make sure to reserve it as soon as possible. WsYOU/Bluff City Properties offers prospective residents a chance to hold their desired housing in Winona for 48 hours. Within that time, you can pay the deposit and manage your finances. Finding the best housing in Winona is easy if you have the right people on your side. Let our courteous staff assist you along the way. To learn more about housing in Winona, contact us! WsYOU/Bluff City Properties is located at 555 Huff St., Winona, MN and the only one of its kind next to WSU. This allows students of the school to spare time for more learning by walking or driving less, and put money back into their pockets by cutting commuting costs. Are you looking for an alternative to living on campus? Rent any of our affordable student rental houses and apartments, and join our well-cared-for tenants today. We at WsYOU/Bluff City Properties are dedicated to serving your best interests and giving you a safe and nurturing apartment to stay. Contact us at 507-454-4444 or fill out our contact page here.